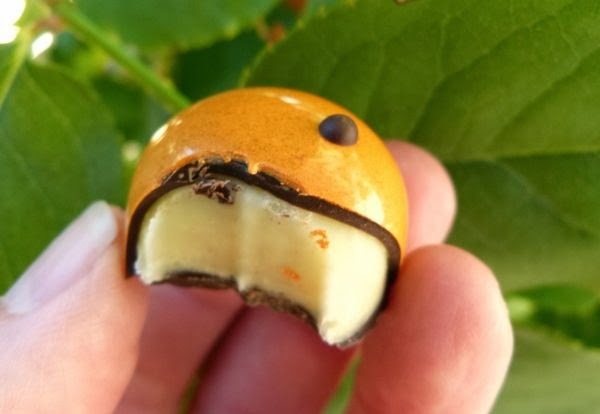 Welcome to the first day of Chocolate and Orange Theme Week. 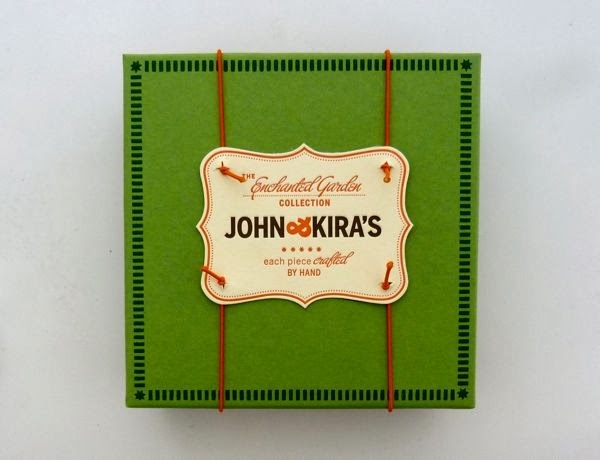 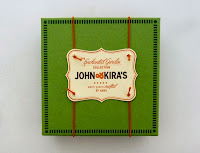 This 9-piece box of bright, cheery orange chocolates from John and Kira's (Philadelphia, PA) looked fresh enough to have come right from the tree. 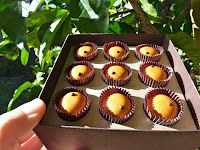 These domed, orange beauties may appeal to white chocolate fans as well. 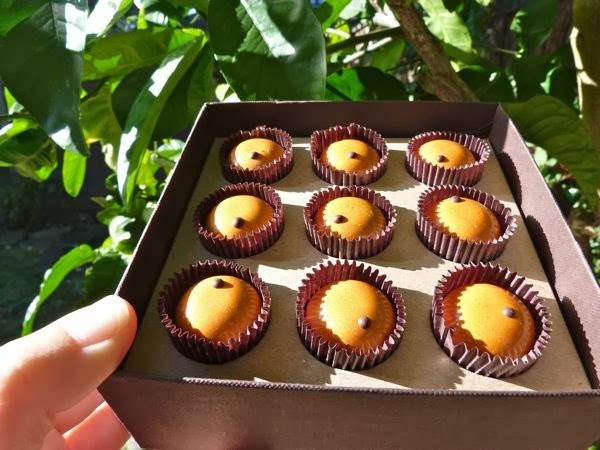 Inside a thin, 62% Valrhona dark chocolate shell was a creamy white chocolate ganache, flavored with orange juice, orange peel, and a hint of Indonesian vanilla.